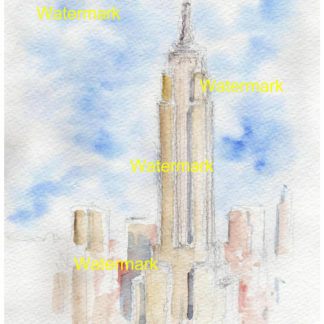 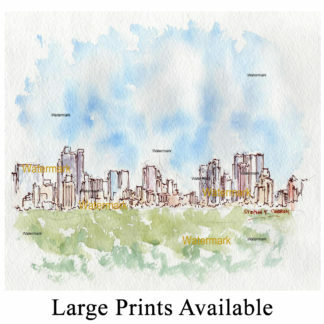 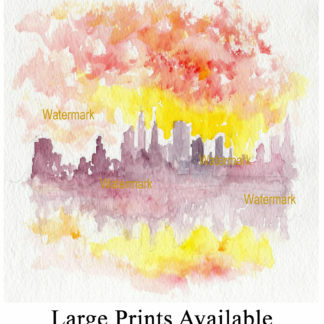 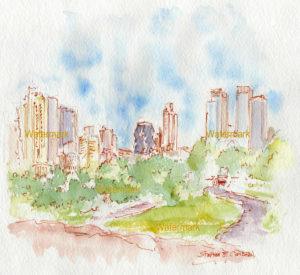 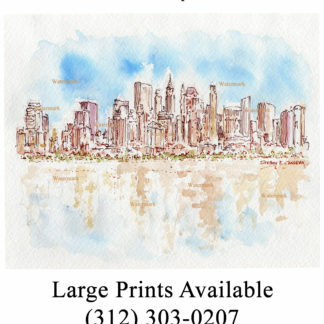 Manhattan skyline watercolor painting viewed from Central Park. 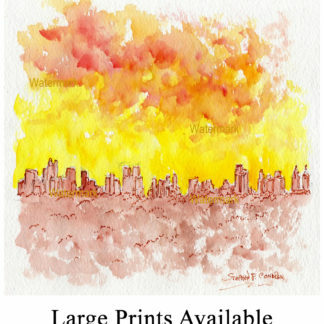 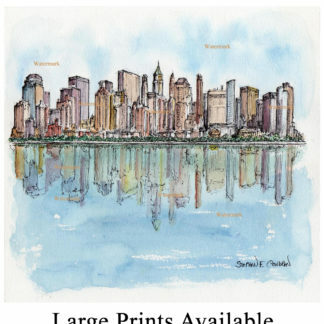 Manhattan skyline #838A pen & ink watercolor cityscape painting, which is for sale here, at discount with prints by artist Stephen F. Condren, SAIC, of Condren Galleries, a Fine Arts Gallery, offering JPEG & PDF prints. 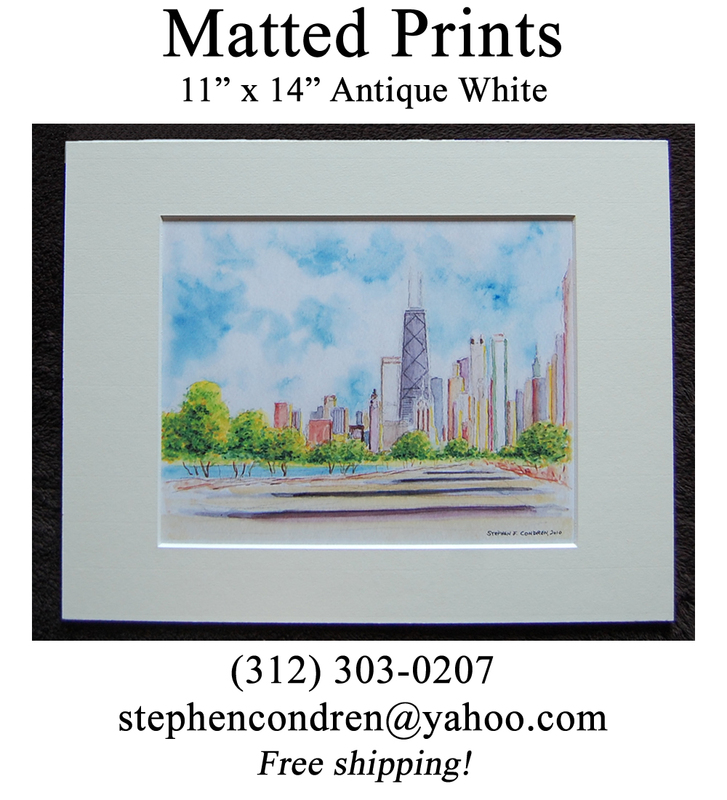 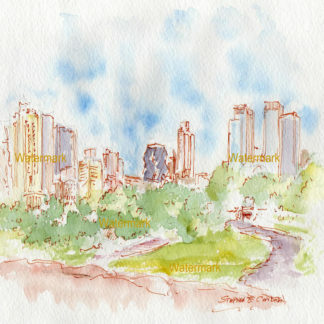 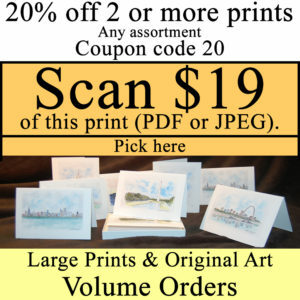 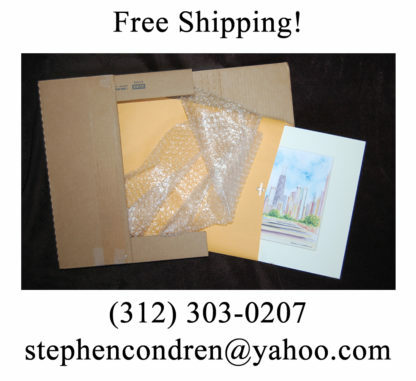 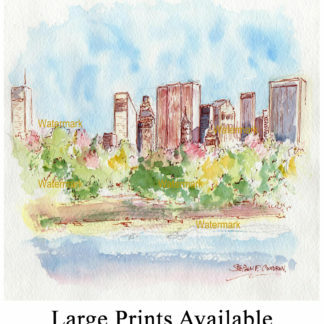 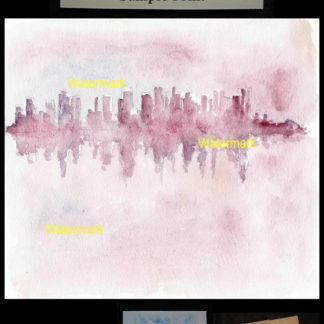 Watercolor of Manhattan skyline from Central Park by artist Stephen F. Condren. 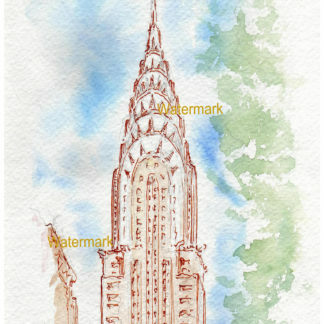 This is a watercolor of Central Park in Manhattan Island, New York, at springtime. 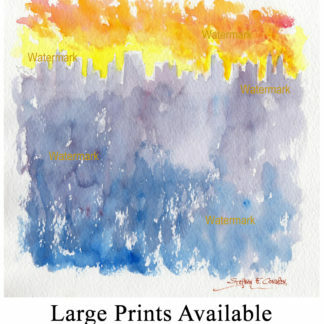 The colors are at the brightest with the new grow paving their way to the full array of colors to come with the buds in bloom throughout the summer.